The web is rich with signals of new threats and vulnerabilities, but it’s nearly impossible to organize all of this information manually. We do the hard work for you by automatically collecting and organizing the entire web to identify new vulnerabilities and emerging threat indicators. Subscribe today and use this information to stay ahead of cyber attacks. "I look forward to the Cyber Daily update email every morning to start my day. 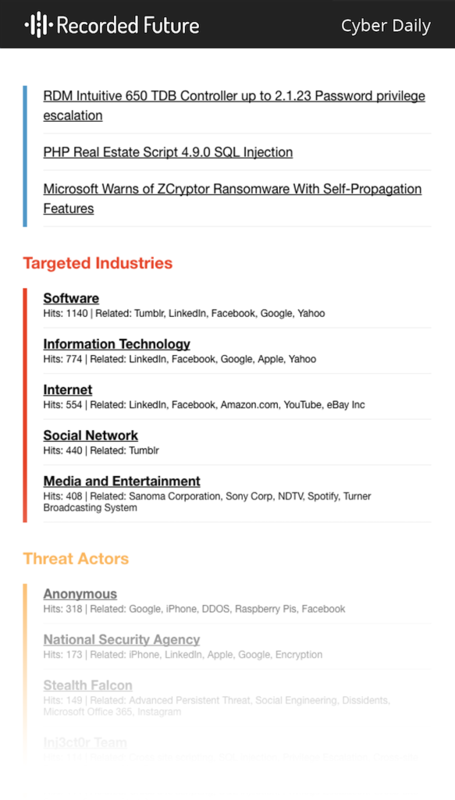 It’s timely and exact, with a quick overview of emerging threats and vulnerabilities."